RAW is dull and unexciting. The film is set in the year 1971 against a backdrop of the events leading to the Indo-Pakistan War of 1971. 'Romeo Akbar Walter' starts with a short introduction to the friction between West Pakistan and East Pakistan, which leads to the rebellion in the East Pakistan against the West Pakistan. And, at the same time, India's foreign intelligence agency, RAW, is looking for a man who could seamlessly sneak into West Pakistan, and pass on the sensitive information from there to India. Actor John Abraham plays the role of a Raw agent named Romeo Ali, who slips into Pakistan as a spy. The film starts quite well, putting all the pawns and pieces of the play in good positions, but fails to successfully build on it to give an overall intriguing film. The opening sequences of the film were good enough, but the mid-play and the endgame were mostly lousy. 'Romeo Akbar Walter' successfully created a gloomy, eerie mood upfront with its setting, lighting, slight sepia tone and overall outlook. But, soon the effect faded-out as the storytelling was not effective enough to lift the film from thereon, and the film slowly descended into an uninteresting non-entity. 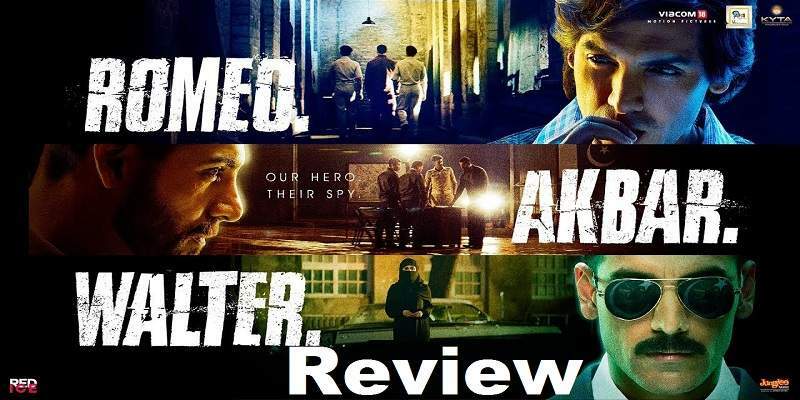 'Romeo Akbar Walter' lacked the kind of tension that a spy film would need to make it engaging and entertaining for the audience. And, some of the scenarios in the film further made the film less tense. For example, the raw agent Akbar Malik (John Abraham), and the Indian diplomat Shraddha Sharma (Mouni Roy), romance in the middle of the road in a car in a public place! When the film, just minutes before, told us that both of them are being followed and observed, and even the calls are being tapped! I mean, our spy is not trying hard enough to be a spy, and seemed less concerned about not blowing his cover! 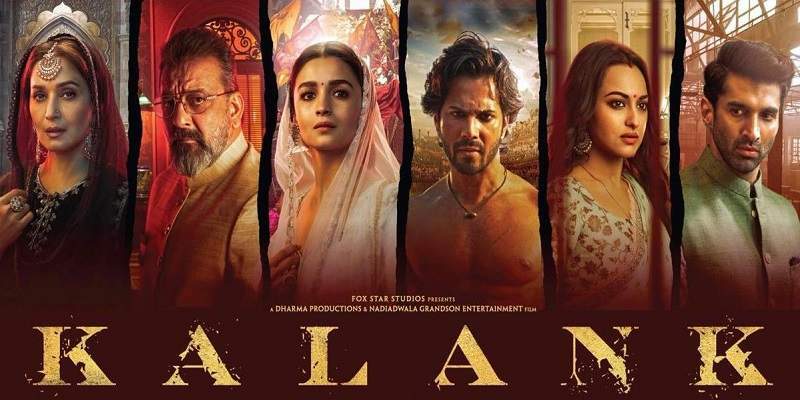 But, you could see what the film was trying to do there; to install a romantic angle into the story to add another emotional layer to its lead character, Romeo Ali / Akbar Malik; or may be just for the sake of it. But, it was unnecessary and simple-minded, and consumed precious time which could have been utilized elsewhere. Like, to highlight and accentuate the lead character's spy qualities more, and the risks he takes, with a more detailed and effective narration of his rise in the Isaq Afridi (Pakistani Arms Dealer with close ties to Pakistan Army Chief) camp, as the whole segment was quite sketchy and undercooked. And, because of this disordered segment, the film doesn't get a solid platform to perform in the second half, as it tumbles multiple times in its run towards the finishing line. The lead character's mother story back home, gave him enough emotional quotient to make us feel for him. The halfhearted touch-and-go romantic angle was needless and felt forced. And, John Abraham was pretty smug-faced in some of the scenes which made it hard for me to buy him as a spy. 'Romeo Akbar Walter' plays out at a superficial level without digging deep, giving importance to unimportant, could-have-done-without plot points. The film plays out like a basic sketch of the events that happened, and lacks the detailing and the depth that could have made the film an impactful spy-thriller. The scenes and sequences are not tightly glued, and you can sense something missing in between. And, the lacklustre narration makes it seem like you have been watching the film for a long time. There are, however, a couple of tense moments in the film, but it fails to capitalize on them, and lets it slip out of its hands. The background music and cinematography are good. The acting performances are good, specially, Jackie Shroff, who plays the RAW chief, Srikant Rai. The film needed better writing and direction to make it a compelling thriller. The film is still watchable, but not in a cinema hall, you can catch it when it streams on any of the online platforms.